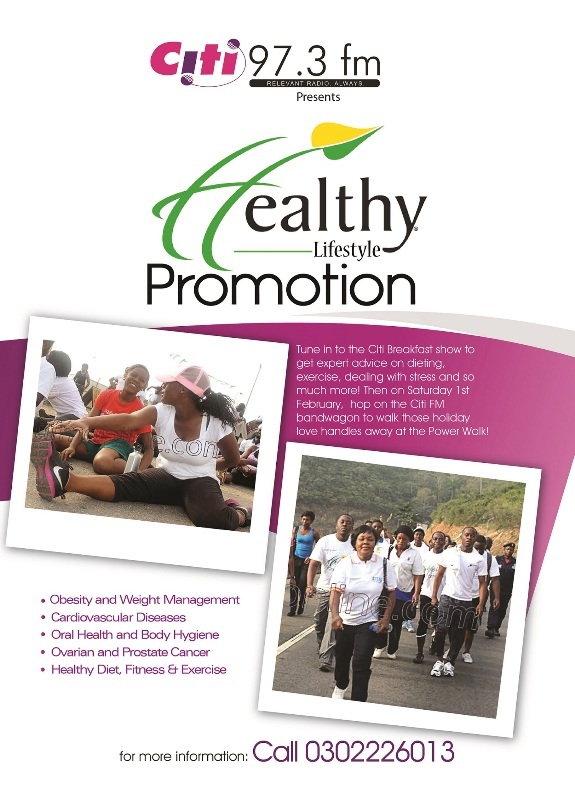 Citi FM’s Healthy Lifestyle Promotion is back! Citi FM has announced the commencement of this year’s Healthy Lifestyle Promotion. As part of plans for this year’s event, daily health tips will be aired after each news bulletin. Also, experts in various disciplines will discuss various issues on the Citi Breakfast Show and answer health related questions of listeners from Monday, 27th January 2014. The 97.3 Citi FM – Healthy Lifestyle Promotion is sponsored by the National Health Insurance Authority (your access to healthcare). Citi FM’s Healthy Lifestyle Promotion is back! 0 out of 5 based on 0 ratings. 0 user reviews.